Philippe Cassard has established an international reputation as concerto soloist, recitalist and chamber musician since giving a joint recital with Christa Ludwig in Paris in 1985. 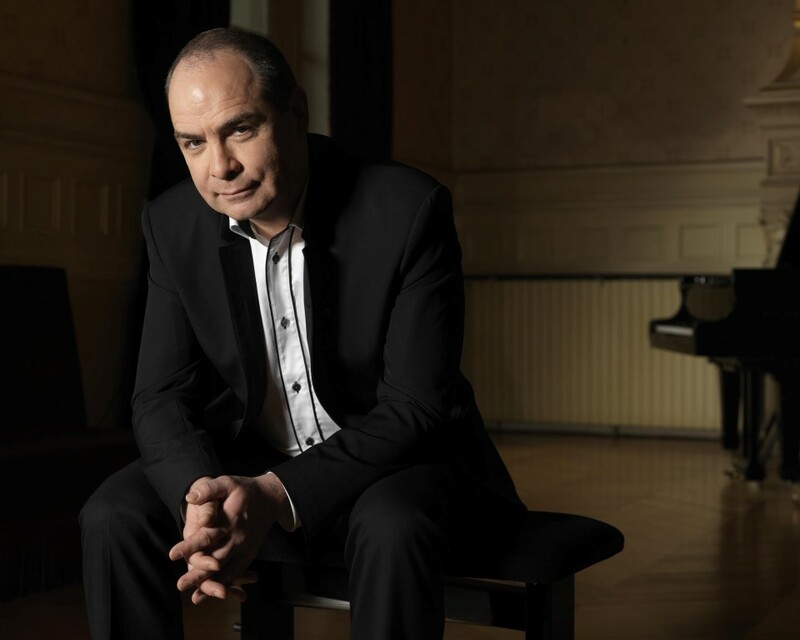 The same year he was finalist at the Clara Haskil Competition and in 1988 he won the first prize at the AXA Dublin International Piano Competition. His concerto appearances include performances with the London Philharmonic, Royal Philharmonic, City of Birmingham Symphony Orchestra, English Chamber Orchestra, BBC Philharmonic, Orchestre National de France, the Hungarian National Philharmonic, and the Danish Radio Symphony. He has worked with many conductors including Jeffrey Tate, Sir Alexander Gibson, Vladimir Fedossejev, Yan Pascal Tortelier, Raymond Leppard, Charles Dutoit, Armin Jordan, Marek Janowski, Emmanuel Krivine, and Thierry Fischer. His performance of the complete piano works of Debussy (four recitals in a single day) received extremely enthusiastic press and media coverage. He has presented the cycle in London at the Wigmore Hall, Dublin, Paris, Marseille, Lisbon, Sydney, Vancouver, Singapore and Tokyo. He also visits China, Australia and Canada regularly. Artists such as Donna Brown, Wolfgang Holzmair, Anne Gastinel, David Grimal,the Chilingirian, Takacs, Ebene and Ysaÿe String Quartets are all regular collaborators. Philippe Cassard has recorded for several companies including Deutsche Grammophon, Hyperion, Harmonia Mundi, and Accord-Universal. His recordings include Debussy’s complete piano works, Schubert’s Sonatas, Moments Musicaux and Klavierstücke, chamber music by Beethoven and Janacek, and songs by Fauré and Debussy. His recording of Schumann’s Humoresque and Fantasiestücke op.12 was Editor’s Choice in Gramophone Magazine and FM Magazine “Best Buy” (2005). His recording of Schubert’s Impromptus Op 90 and Op 142, and a short essay on Schubert both of which have been warmly received. In March 2010, Philippe Cassard released the Brahms Klavierstücke op.116 to op.119. He was Artistic Director of the Festival “Nuits Romantiques du Lac du Bourget” (1999-2008), and since 2005, he has presented over 200 live programmes on France Musique Radio dedicated to piano interpretation (“Notes du traducteur“).